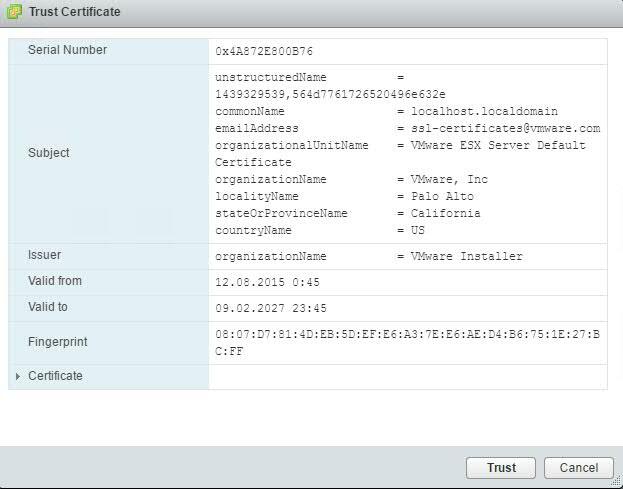 A new security feature introduced in vSphere 6.5 is virtual machine encryption. 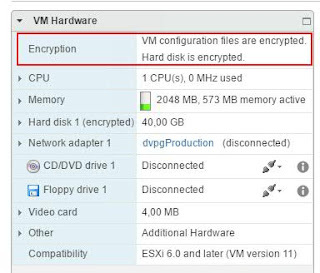 The encryption is VM agnostic as it takes place at hypervisor level before the I/O is stored to disk. It uses vSphere APIs for I/O filtering framework that allows interception of VM I/Os in the virtual SCSI emulation (vSCSI) layer. It encrypts virtual machine files (nvram, vswp), virtual disk files and core dump files. 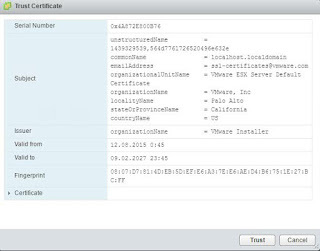 However it does not support log files, VM configuration files or virtual disk descriptor files since these are considered to contain non-sensitive data. 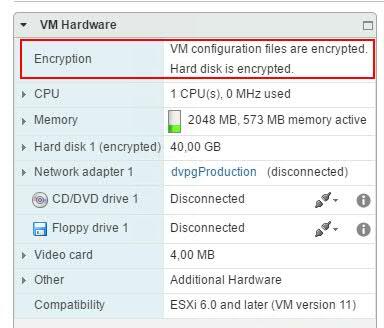 ESXi hosts - generates data encryption keys (DEKs) and encrypts them with KEK; encrypted DEKs are stored in configuration files. DEKs are used to encrypt/decrypt virtual machine files. 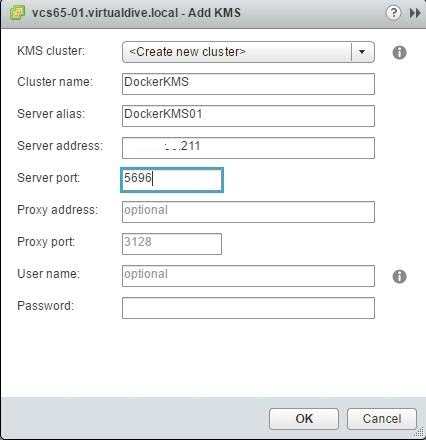 KEKs need to be in ESXi memory for a VM to be powered on. Since KEKs are only stored in KMS and they are used to encrypt/decrypt DEKs, KMS should be made highly available. 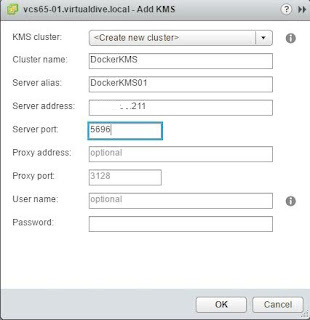 Loosing KMS generated keys means DEKs cannot be decrypted and access to VM data is gone. Another important aspect is VM encryption uses the data block's address to protect against snooping by generating different encrypted data for identical data blocks. However it does not provide protection against data corruption. Check the container is running by executing the following command on the docker host: docker ps. To further restrict the access, the role can be cloned and modified accordingly. 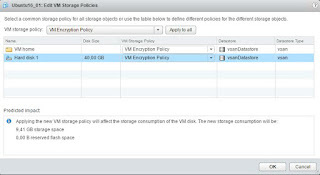 The are restrictions and limitations when VM encryption is being used. 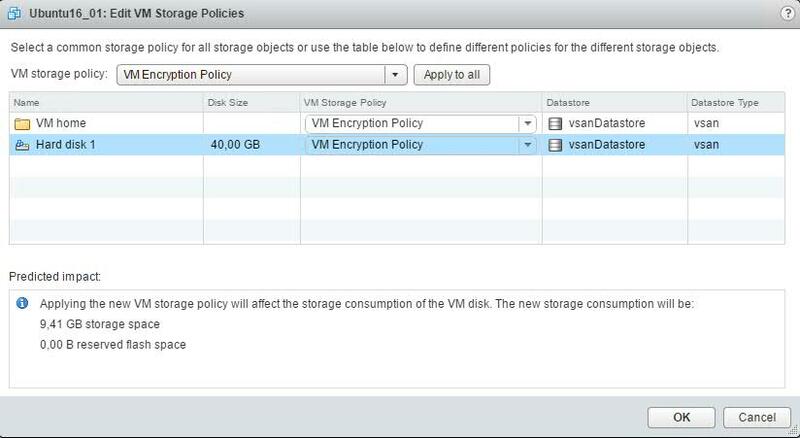 One of the most important is that backup solutions using VMware vSphere Storage API - Data Protection are restricted to hot add backup and NBD-SSL network transport mode. SAN backup is not supported. VMs with existing snapshots cannot by encrypted. All snapshots must be first consolidated. Guest memory cannot be saved during a snapshot of encrypted VMs. 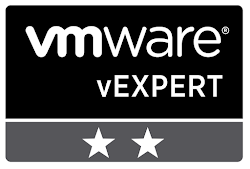 If you are looking for details on performance impact of VM encryption, there is a performance study from VMware. Dedicated encryption hardware is not necessary, but using a processor that support AES-NI instruction set will speed up encryption and decryption.